Marketing plan is very necessary to establish before you start to set sale in the online business arena. Part of the marketing plan is to identify the marketing strategies or tools to use in order to hone and attract the target market. This will be your way for potential market to know that you exist and that you are promoting this kind of product and services. Moreover, your marketing campaign should not only be confined to your own website by just indicating some advertisements or banners for your visitors to see. Your visibility in this case is very limited and worse, what if there is no one who will visit your site? That is why you have to broaden your horizon and employ the different marketing strategies for you to reach out to your target market and bring them to your website where your products and additional information can be found. This is the purpose of your marketing strategies. This is also the thing that you can take advantage when you indulge in online marketing business. With all these, you can continually experience an increase in your profit. Let me share to you some of the helpful marketing strategies that you can use to widen your visibility. One of this is by having your own website. This should be part of your marketing plan. Through your website, you will have a worthwhile and effective way to boost all your marketing campaigns. However, newbie in the online business industry might have some difficulty in spending money for their website. If you are experiencing this, I will recommend that you use blogs. There are many blog sites in the net that you can use like WordPress. Yet, select those that are popular because they have lots of followers already. With this, you will have that great opportunity that your blog post will be read by your target market. Furthermore, have your own blog in that site and design it with your own layout. Include images and videos that will help capture the attention of your target market. After these, start promoting your products and services. Websites and blogs can have a worthwhile use if you will include contents that are very helpful to your target market. Most people browse the net because they are looking for something that can solve their problems and answer their queries. Be able to use also important keywords necessary in your niche so that you gain wider visibility through the search engines. Another thing that you can employ is email marketing. The name of your prospect and the email address are necessary in this strategy. The purpose of this is to continue reminding your target market about your business with the products and services you offer. If it will be hard for you to get the emails and names of your potential subscribers, you can look for some internet marketers that offer lists. However, in employing this strategy, you have to know some basic knowledge with regards to the rights of the recipients as well as what to write and indicate in your email marketing campaigns. In this way, you will not be branded as a spammer that might lose your credibility and your business as a whole. There is no other purpose why internet marketers and other online businessmen use different marketing strategies than to earn huge profit and enjoy the stability of their online business. 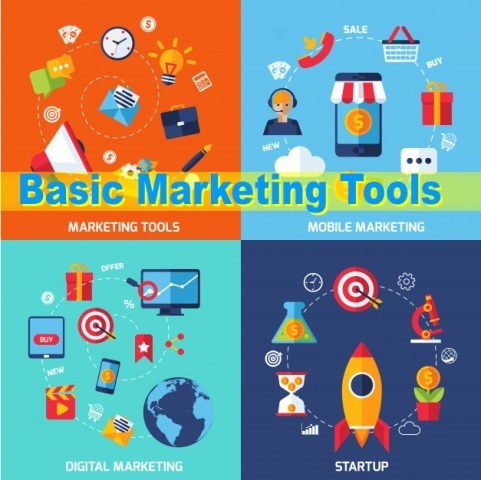 0 Response to "Basic Marketing Tools for Your Internet Marketing Success"